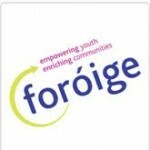 If you’ve been searching for a way to make a difference “Big brother big sister” initiative in Foroige may be just for you! Come along to Foroige, Ardoe House, Glen Road, Monaghan on Thursday 20th September at 7pm, and learn more about the program and how you can become a volunteer big sister or brother. Learn about the support our volunteers are given, the flexibility around the role and how “Big brother big sister” (BBBS) impacts on the life of young people in your community. After a brief info session, there will be a chances to ask questions followed by refreshments. It’s a great chance to get involved in a very important youth volunteering role, don’t miss it!